KAMPALA – Police have announced that major roads in and out of Kampala city will be closed today December 19th during the launch of the Kampala Fly Over project that is expected to be graced by President Museveni. The launch is expected to take place along Kafumbe Mukasa Road. As a result, police said roads leading to Kafumbe Mukasa Road will be closed at about 6 am. There will be normal traffic flow along Queen’s Way from the City Centre. Motorists from Entebbe heading to City Centre will be diverted at Zana Round About, Stella-Namasuba Junction and Kubuye Round About. Mengo Hill Road will be closed to the general Public and traffic will be diverted to Kisenyi and Kibuye Round About. Traffic will be diverted from Kafumbe Mukasa Road (Owino Market) to Kisenyi Road. Traffic from the City Centre will not be allowed to access Katwe Wansi and Kafumbe Mukasa Road. The general Public is advised to adhere with the above traffic guidelines to avoid inconvenience, police said. 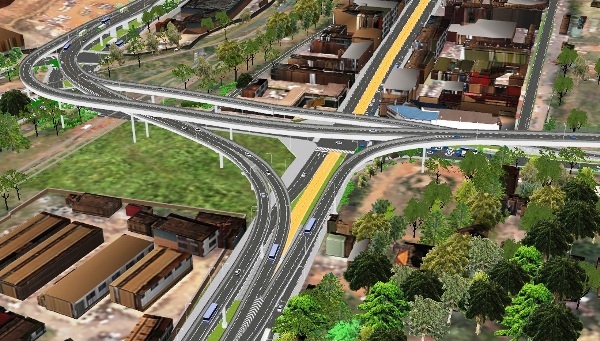 The UNRA director for roads and bridges development, Mr Samuel Muhoozi said the flyover will be constructed by a Japanese contractor and will cost government Shs295 billion.